6mm belly bars, 8mm belly bars, 10mm belly bars and 12mm belly bars. All with high quality surgical steel bars and 8mm jewelled bottom balls, with lovely coloured jewels. 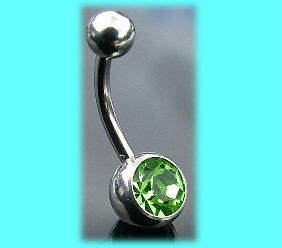 Classic body jewellery for belly piercings. These single jewelled belly bars or navel bars are 316L High Grade Surgical Steel Body Jewellery, lots of different colour jewelled belly bars with short or long bars. From short 6mm to long 12mm bar lengths. You will find matching 6mm screw on top jewels for these belly bars on our add ons page, and we also stock a wide range of double jewelled belly bars, these are on our double jewelled belly bars page. 6mm,8mm,10mm & 12mm belly bars with AB jewel. These surgical steel belly bars are available in 6mm,8mm, 10mm or 12mm sizes. Matching jewelled top balls are available on the add ons page. 6mm,8mm,10mm & 12mm belly bars with pink jewel. These surgical steel belly bars are available in 6mm,8mm or 10mm sizes. Matching jewelled top balls are available for these belly bars on the add ons page. 6mm,8mm,10mm & 12mm belly bars with light green jewel. These surgical steel belly bars and are available in a 6mm,8mm, 10mm or 12mm length. Matching top jewelled balls are available on the ad ons page. These surgical steel belly bars are available in 6mm,8mm, 10mm or 12mm sizes. Matching jewelled top balls are available for these belly bars on the add ons page. 6mm,8mm,10mm & 12mm belly bars with emerald green jewel. These surgical steel belly bars are available in a 6mm,8mm,10mm or 12mm sizes, and matching jewelled top balls are available on the add ons page..
6mm,8mm,10mm & 12mm belly bars with bright blue jewel. These surgical steel belly bars are available in 8mm, 10mm or 12m sizes, with matching top jewelled balls available on the add ons page. These surgical steel belly bars are available in a 6mm, 8mm, 10mm or 12mm sizes. This clear jewelled surgical steel belly bar has a black PVD coating and is available in a 8mm, 10mm or 12mm size. 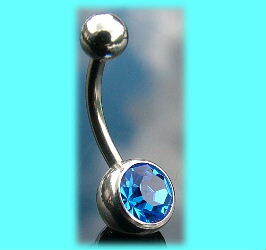 This light blue jewelled black PVD coated surgical steel belly bar is available in a 8mm, 10mm or 12mm size. This sapphire blue jewelled surgical steel belly bar has a black PVD coating and is available in a 8mm, 10mm or 12mm size. 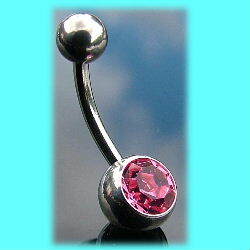 This pink jewelled surgical steel belly bar has a black PVD coating and is available in a 8mm, 10mm or 12mm size. This fuchsia jewelled black PVD surgical steel belly bar is available in a 8mm, 10mm or 12mm size. This AB jewelled surgical steel belly bar has a black PVD coating and is available in a 8mm, 10mm or 12mm size. This aqua jewelled black PVD coated surgical steel belly bar is available in a 8mm, 10mm or 12mm size. 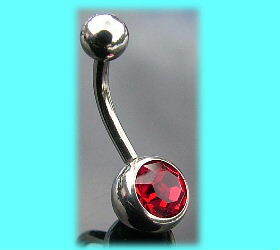 This red jewelled surgical steel belly bar has a black PVD coating and is available in a 8mm, 10mm or 12mm size.